I am off to speak at the National Association of Neonatal Therapists (NANT) conference in Dallas, Texas! I’ve worked through my nerves (for the moment anyway – I’m sure they’ll creep back in!) and I’m ready to go! I’ll be meeting Kelli Kelley, from Hand to Hold for the first time in person! Kelli has been an incredible supporter of the book and made arrangements for me to speak at the Dallas/Fort Worth Ronald McDonald House tomorrow! I’ll read a few passages from the book and we’ll give away copies to the preemie parents staying at the house! Although the book isn’t available yet (but remember it is May 29th!! ), Random House did an early print run, so they’ll be copies waiting for me in Texas! 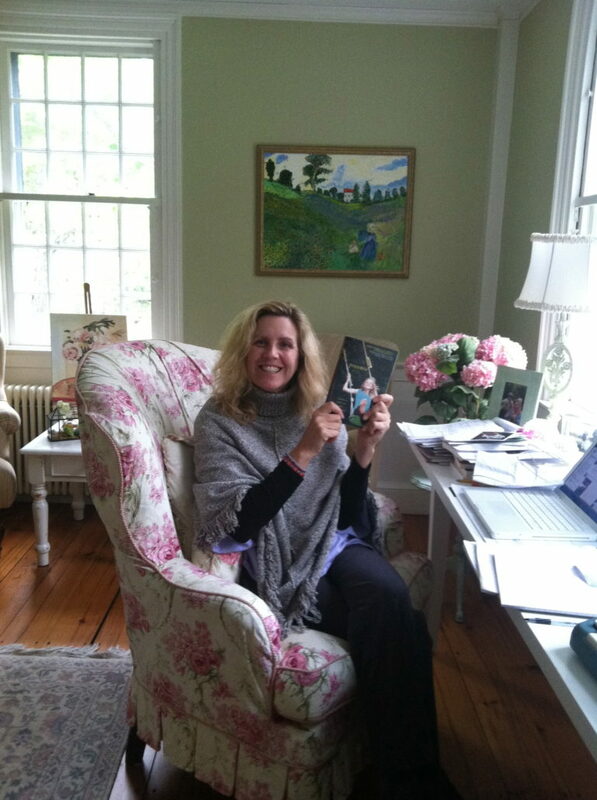 I received a few copies here in New Hampshire the other day! Tucker caught me checking out the book! Can you believe this is happening? There is definitely a part of me (the introvert) who wishes I’d never even began this process and could just take my quiet, daily walks in the woods with my big dog, Meg. Then there is the other part of me who remembers what it felt like to feel so alone for so many years after Andie’s birth. And with that thought, I remember why I wrote the book in the first place and know that I am on the right path. So, if you think of it on Friday at 1:30, please send a little courage, confidence and love my way, as I begin my conference talk and the journey of sharing my story. By the way, what do you think of the new website? http://kaseymathews.com/wp-content/uploads/2019/02/Kasey-mathewsNewLogo2019.jpg 0 0 Kasey Mathews http://kaseymathews.com/wp-content/uploads/2019/02/Kasey-mathewsNewLogo2019.jpg Kasey Mathews2012-05-02 12:04:082016-08-30 12:07:01And so it begins!